Main Fuel or Power incl. 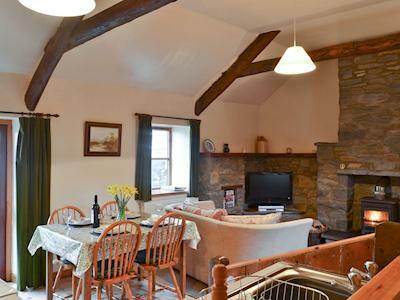 Quiet and tranquil countryside overlooking the Teifi Valley are the main qualities of this delightfully converted barn on a working farm. 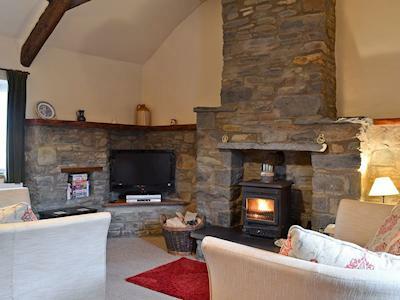 Beudy Mawr is a semi detached, single-storey holiday cottage, which boasts a woodburner, beams and a splendid original stall from the barn in the kitchen. There are 650 yards of single bank fishing on the famous Teifi River, the coast is 15 miles away where dolphins play, and Aberaeron is a must to visit with its picturesque harbour and coloured houses. This is a perfect location for walking, cycling, touring the countryside or the coast, bird watching - red kites can be spotted nearby - or for simply relaxing. 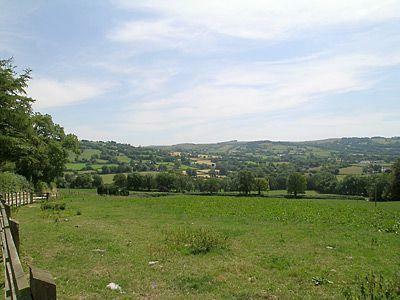 The university town of Lampeter is only 2 miles away. Village shop 1.5 miles, pubs and restaurants 2 miles. All on ground floor: Living room with patio doors and beams/dining room/kitchen. 2 bedrooms: 1 double, 1 twin. Shower room with toilet. Woodburner in living room (initial fuel inc). Oil CH, elec, bed linen and towels included. Travel Cot. Cot. Highchair. Freeview TV. DVD and small library. Stereo/CD. Electric Cooker. Microwave. Washing Machine. Shared lawned garden with patio and furniture. Portable BBQ. Parking (2 cars). No recommended Eating & Drinking found within 30 miles of this property. Experience what life would have been like down a mine as you follow the 'Miners Trail'. The self guided path takes visitors on a tour through the old mine site, featuring fascinating exhibitions. Admire the water wheels, pan for silver-lead and iron pyrites, hear the 'captain's tale' and have fun discovering the history of the mine and the lives of the miners. 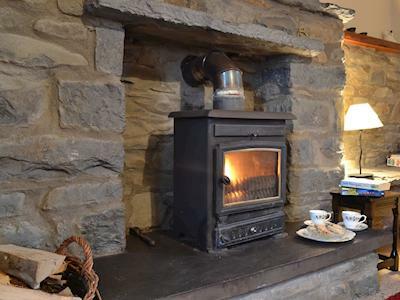 Located in the lovely Brecon Beacons National Park area of South Wales. The Park has been officially designated as a Geopark because of its unique geological formations. Pump up the excitement with a session or two at Top Gun Paintball and Clay Shooting! This exciting local attraction provides a wooded area to prove your skills in battle. Hone your hand-eye coordination with clay shooting or hide away in a massive 30 acre green space while dodging paintballs. Visit these world famous unique waterfalls which attract thousands upon thousands of visitors. One of these visitors was William Wordsworth who wrote 'Torrent at the Devils Bridge'. Enjoy a relaxing train journey where you can take in the breathtaking views over the seaside town of Aberystwyth. At the summit, you can have a birds eye view of the land and seascape from the worlds largest camera obscura - on a clear day it is possible to see 26 mountain peaks spanning much of the length of Wales! Also available are fascinating historical displays, a kids play area, a well-stocked gift shop, and a cafe selling delicious home-made snacks. This sheltered sandy cove located off the beaten track, is owned by the National Trust. Make your way down the steep steps leading to the beach from the car park or wander one of the short cliff top walks. This long sandy beach, situated at the mouth of the Teifi Estuary is backed with sand dunes and is popular for power kiting. Lifeguards patrol this beach in the summer making it safe for summertime bathing. Every September, Llandrindod Wells hosts the annual Heart of Wales walking festival - with many guided walks to suit all levels of fitness and abilities. Even if you dont visit when the walking festival is on, you can still enjoy the views of the gentle rolling countryside to the moderately rugged hills of the heart of Wales. Cycle, trek or horse ride through Areas of Outstanding Natural Beauty, National Parks, eight counties and two countries. Although 177 miles in its entirety, it is an easy route to pick and choose from depending on how energetic you are feeling! Spend a half day or full day trying your hand at a range of sports including canoeing, archery, rock climbing and kayaking. Transport to and from the centre can be arranged for you and the centre is specially designed to cater for groups with the option to have meals included. The 16 acre lake at Llyngwyn is a popular fly-fishing destination. Rainbow and brown trout are found in the lake throughout the year. River fishing is available on the river Wye for elan, marteg, trout, grayling, and some coarse fish. Elan Valley contains 4 lakes which cover an area of 850 acres. Great if you fancy a swim or a game of squash, this leisure centre offers a wide range of activities for all ages. A great leisure centre featuring a 20m swimming pool, fitness suite and squash courts. Whatever your age or fitness level there is something for you. Why not go for a relax in the jacuzzi or take a swim in the pool? Rhayader is a small market town in the heart of the 'Lakeland of Wales' on the banks of the River Wye which stretches 1 mile south and 4 miles north of the town. Brown trout and Grayling fishing available and salmon fishing is renowned on the River Wye. Builth Wells Sports Centre includes many sporting facilities such as a swimming pool, squash courts, sports hall, fitness suite and an all weather pitch. They also have several classes on offer from pilates to cardio kickboxing - something to suit all tastes and caters for the whole family. This golf club has earned a reputation for its friendly and warm welcome. Visitors can play a round of golf, relax afterwards in the newly refurbished clubhouse and take in the beautiful surroundings. Visitors are known to return each year for the top links course at Aberdovey golf club. Nature Reserve with bird watching and well marked out nature trails you can walk round. A beautiful location at the heart of the Cambrian Mountains, with a whole host of differing habitats. There are also events that are set up at Gilfach Nature Reserve such as Badger Watching. Located within the Teifi Marshes Nature Reserve, this eye-catching visitor centre has many informative and interactive displays. There's also an adventure playground, café and gift shop. Canoe trips on the river are available. Located in the stunning Tywi valley of Carmarthenshire, this fine house has a garden that has been described as one of the finest in Wales. Often cited as inspiration for poetry for over 500 years, this beautiful site is as magical as it is mysterious. Hafod Uchtryd is classified as probably one of the best examples of an 18th century picture perfect landscape, occupying 200 hectares of the Ystwyth valley and encircling hills it provides stunning views and scenery. There are six different trails on offer, they all vary in length but all will ensure you get the most of this stunning estate, from the magnificent views, cascading waterfalls, gorges, woodland, loads of local wildlife. There is lots of history to the area too and a guided walk will allow you to get the most from this area. Located amongst the estate are a number of structures of interest including an icehouse and obelisk. 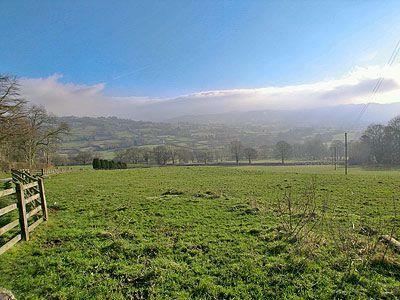 Hafod Uchtryd is a place of peace and tranquillity as well as stunning beauty. The perfect place for a leisurely walk amongst beautiful surroundings. The National Botanic Garden is one of the most visited gardens in Wales and is home to some of the rarest plants in world. Voted 'number 1 wonder of Wales', it has become one of the most popular gardens in the UK. Located near Rhayader, this picturesque Site of Special Scientific Interest is a fabulous location for a leisurely stroll, a mountain bike ride or a fishing trip. With stunning lakes, abundant wildlife and superb views it is a perfect place to enjoy the great outdoors. The Brecon Beacons look fantastic when they're experienced from the saddle of your bike - whether you want the more energetic experience of charging up the mountains or casually cruising from pub to pub, there's something here for everyone. The national park authority organise guided walks and events for all the family. Myddfai Community Hall and Visitor Centre has become an important addition to the community here in Myddfai, an area that is enveloped by the glorious scenery of the Brecon Beacons National Park. The centre is newly constructed using the latest energy efficient tools and has become one of the nicest and best equipped venues in the area. The purpose of the centre was to serve as a focal point in the community and a place where locals could gather. Since its opening the centre has hosted many events and these are aimed at families and getting people together so keep an eye on the website for upcoming events. The centre is open daily and you will find a shop that sells a nice selection of locally produced and crafted foods, gifts, cards, books and artwork. Many of the items on sale are only found here and there is a nice range of quality and unique items as well as a delicious selection of chutneys, jams chocolates and much more. There is also a cafe that is warm and welcoming and on its walls are information boards detailing the history of Myddfai. They serve a good selection of beverages, snacks and light lunches as well as heavenly home-made cakes. The centre is run by volunteers who are really welcoming and friendly and happy to stop and have a chat. Myddfai is a superb community project that every village should have a great place to stop and meet with the locals and enjoy a coffee, do some shopping and learn about the local area. New Quay is the perfect destination for sightseeing, beach lounging, walking and dolphin spotting. Enjoy a walk along the front to the end of the Quay and watch the boats sail by. Or sit in one of the cafes overlooking the harbour and see the dolphins. Newcastle Emlyn is a lively town nestling on the meandering Teifi River. It has the ruins of the only Welsh stone castle in the area, but other attractions include antique, craft and numerous book shops, a covered market and a theatre. This cinema has a structure unchanged since the 1930's but boasts all comforts and modern facilities inside. It regularly plays host to live performances and the latest films. 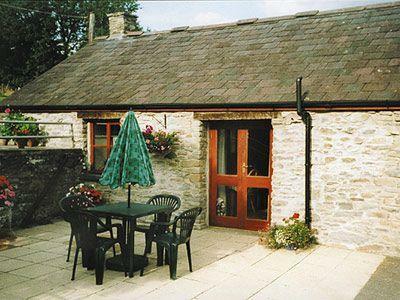 Black Mountain Centre is a community initiative and is found in Brynaman, a charming village positioned at the foot of the Black Mountain of Carmarthenshire. It is housed in an an old school but has all the amenities needed to benefit visitors and business customers. You will find tourist information on the local area, free Internet access, a Gallery that shows local artists works that can be bought, intriguing heritage displays of local history and culture, that are continually changing. In addition there is the Black Mountain cafe area where you can get tasty home cooked food, that is excellently priced throughout the day, they also serve cakes and beverages. If you want to meet members of the community and get to know the locals then this is the place to come. The Giant Knitted Cardigan is a local celebrity here in Cardigan. The cardigan came from a simple idea a cardigan for Cardigan, it was to celebrate the towns nine hundred year history and heritage. Then came the hard work from around three hundred members of the local community including children to create the end product, they extends to five metres, and took nine months to create. It comprises of a number of different squares depicting various scenes from Cardigan's history all stitched together. A great level of care and detail has gone into this wonderful piece, that has been beautifully made. A mixture of knitting and embroidery was used in creating the cardigan, an unusual and magnificent piece. It is proving so popular that it now travels around the country on show, check the website to see where it will be next. Enjoy the latest blockbuster, watch a show, view an exhibition or chat over coffee at Theatre Mwldan, Cardigan's recently redeveloped arts and entertainment complex. 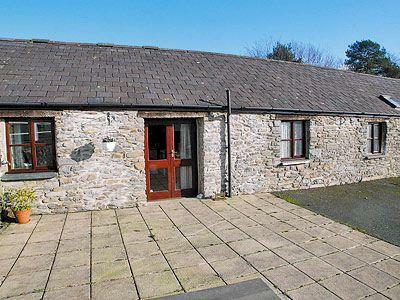 It's situated in the centre of Cardigan, an oldmarket town on the beautiful coast of west Wales. Small World Theatre is located in an individual artistic space in Cardigan. It is an international artist-led arts and culture association, that produces and performs a range of original shows and events, in addition to organising projects and workshops. The venue is welcoming and cosy and well laid out, the seating is almost circular giving the best views of the stage, and the seats are comfortable and spacious. The facilities are modern and the lighting and sound are state of the art. The staff are friendly and approachable. They also organise a range of events and exhibits during the year. They are not afraid to show cutting edge theatre productions. Small World Theatre serves as an important park of the towns cultural influence and is an integral part of the community. High quality seasonal produce which has been reared and grown or made within the area of a 30 mile radius. Open to visit every second Saturday in a month. Refreshments and live music too. An interesting craft centre, established in 1984 in an old GWR railway station. Set in a beautiful location on the banks of the River Wye, this craft centre is now an important local attraction with nearly 20,000 visitors a year. Admire the work of painters, potters, sculptors and photographers alike with new exhibitions that change on a monthly basis. Dolaucothi Gold Mines are located in the heart of a 2,500 acre estate and positioned on a wooded hillside that oversees the stunning Cothi Valley. Mining here dates back more than 2000 years to the Romans and some of their methods are still evident. But it is the Roman, Victorian and 1930's and the harsh conditions that the miners endured that are focused on here. The mines here continued to be mined until 1938 when they eventually closed. The tour takes you into the actual working mines, and suitable foot wear is recommended owing to the uneven surface and steep slopes, and you must have a certain degree of mobility to be able to do the tour, children in push chairs can do the Victorian tour. You get to wear a miners lamp and when you enter these dark caverns, you will get to see first hand the dark, dank and cramped conditions the miners worked in, with so much effort for little reward, see and hear the mine in operation as well as seeing the actual mine machinery. There is the choice of a free guided tour which, you book on arrival or you can take a self-guided tour, there is the Roman tour and Victorian tour to choose from. The guides are friendly, engaging and very knowledgeable and impart the history in a lively and interesting way with lots of anecdotes You can try your own hand at panning for gold and see how successful you will be, or take one of the many walks around the area, that vary in length and difficulty. There is also an exhibition that you can look around. The mine is open is open from April through to October and there is a charge for entry. There is a nice little gift shop where you can buy some pretty Welsh gold jewellery and other souvenirs and gifts. The tea shop is pleasant and cosy and serves a nice selection of beverages and hot and cold food at reasonable prices. Dolaucothi Mines offers an intriguing insight into a working mine and will interest all ages, the tour is pitched to cater to everyone and with activity sheets and trails the children can get involved, highly recommended if you are in the area. Situated in the picturesque village of Dre-fach Felindre, once the centre of a thriving woollen industry, this flagship museum has a fascinating story to tell. Follow the process from fleece to fabric, watch textiles in production and see historic machinery that changed the face of the industry. Experience the panoramic views of the black mountain and the colourful Welsh countryside from the craggy hilltop where this fantastic castle lies. The Vale of Rheidol Railway offers you the opportunity to step back in time to the evocative era of steam travel. This narrow gauge railway was constructed in 1902 and this railroad has been traveling through the stunning scenery of Rheidol Valley for over a century, the route has a number of sharp turns and arduous inclines which, all add to the experience. There are various carriage options, the luxurious First Class Observation Saloon, Third Class or the Open Summer Carriages that allow the fresh air to blow through, any of the carriages gives fantastic views of the panoramic vistas. Your journey will take you through a delightful mixture of landscapes from meadows to craggy mountains as you gradually climb the hillside from Aberystwyth to Devils's Bridge, the journey takes about an hour each way. At the summit there is a cafe and gift shop. You can leave the train at one of the renovated intermediate stations to enjoy the great outdoors or take a walk along many of the trails the valley has to offer and look to the skies to see the birds of prey who habitat here such as Red Kite and Buzzard. There are a number of special events that place during the year so do check the calender to see what is taking place. With friendly staff, amazing scenery and a journey back in time it is an excellent day out for all ages. The Silver Mountain Experience is a unique and interesting day out, located high in the Cambrian Mountains, the site consists of abandoned mine workings, mystical forests and plunging streams that will take you back through time. Not for the faint hearted is the Black Chasm, this is classified as 12A and will take you on a terrifying underground experience, as you travel through the dark and abandoned mine tunnels you never know who you will encounter, be prepared, not recommended for the faint hearted! For the younger adventurers there is the Dragons Tale, you will help to find Grotty, Silvers Mountain's resident and bashful dragon. Being one of Wales best maintained Silver-Lead Mines, there is lots of history and you can experience for a short time what it was like to be a miner in these mines in a bygone era, uncover interesting facts of mining life during the A Miner's Life tour, your guide will lead you through the passageways and impart the history of the mines. The whole area offers so much to explore for all ages, junior members of your family can take part in the Magic of Woo Hoo Wood, where they can construct dens amongst the trees, build dams in the stream or play in the water area. Other activities include gem and gold panning, interactive challenges, nature trails and quiz trail, there is so much to see and do here. Onsite is a cafe where you can relax and have some refreshments. As the terrain is uneven in many places, flip flops/sandals are not recommended and also the underground can be cold so warm clothing is also recommended. The staff are friendly and helpful and add to the overall experience. A great day out regardless of age that is reasonably priced. Delve into the fascinating world of Rhayader Museum and Gallery, where various exhibitions document and explore local heritage. These exhibitions are constantly changing and offer great insights into numerous projects. The museum gallery focuses on the nature of culture, society and economics in the shaping of the local community. This impressively sited castle overlooking the Tywi estuary has been in the hands of both the Normans and Welsh. Admission is free. Pass a couple of hours in the castle before visiting Llansteffan village for a coffee or a wander around the shops. Brecon Cathedral has a long and varied history, today it stands as the Mother Church of a large Diocese and is a centre of welcome and worship for all. The Cathedral is quiet unassuming and small in relation to other Cathedrals but, what is unusual about this building is that it is positioned in a walled close. The remnants of the former monastic buildings serve as the administrative centre for the Diocese in addition to housing the Cathedral clergy and a Heritage Centre and Restaurant. The grounds that surround the Cathedral are lovely, so peaceful and quiet. Inside is lovely too, it is not very big but has some great features and architecture, unusual wooden vaulted ceilings, commemorative plaques, a stunning antique font, stained glass windows and more. Within the Cathedral is the regimental chapel worth a visit, it has connections with the Zulu War/ Rorkes Drift, it has a collection of interesting military and historic flags and a war memorial book. There are some descriptive guide sheets available that provide all the information on the Cathedral. What strikes you most about the Cathedral is the calmness and peacefulness of it here. A wonderful, little museum. Established in 1928 by the Brecknock Society it is now run by Powys County Council. Set in a delightful historic building it offers a glimpse of the area over time.